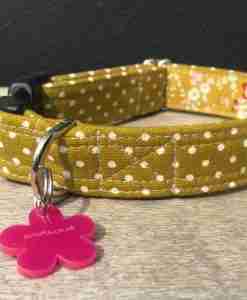 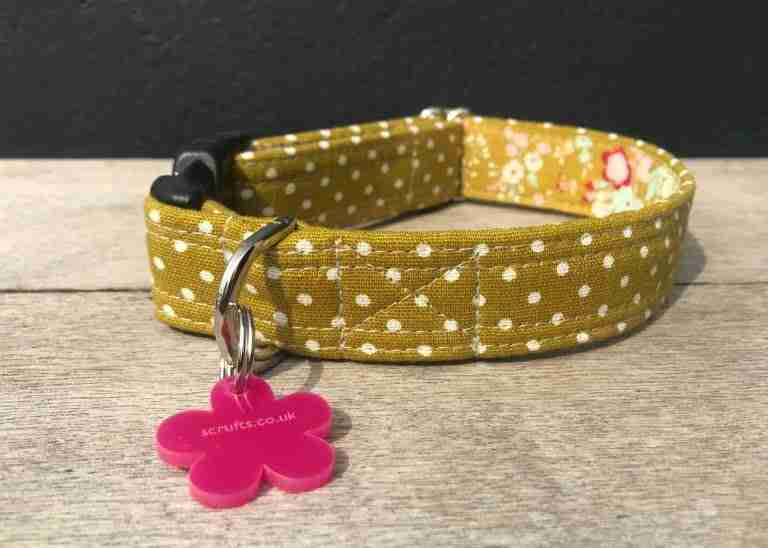 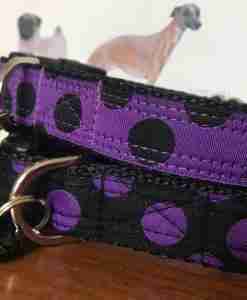 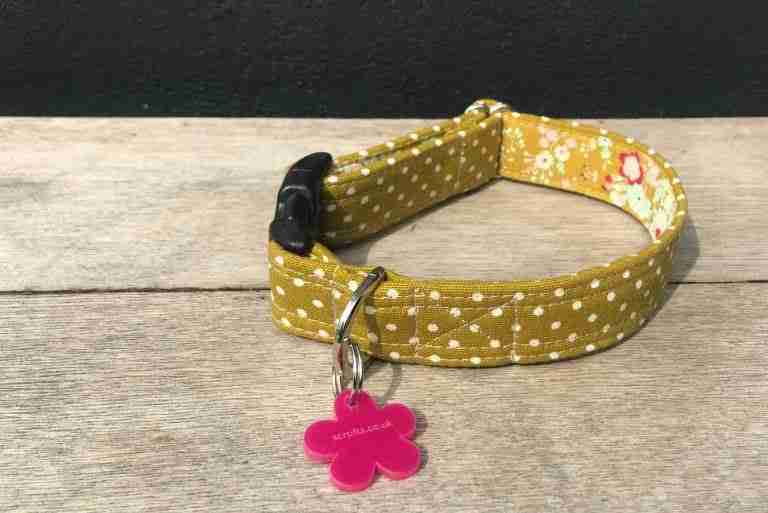 Kiwi has just been given a makeover and this polka dot dog collar now has a rich floral lining, which is a perfect collaboration with the kiwi and stone polkas. 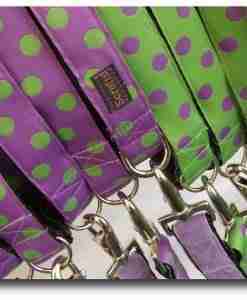 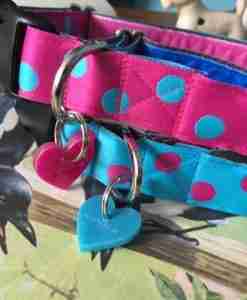 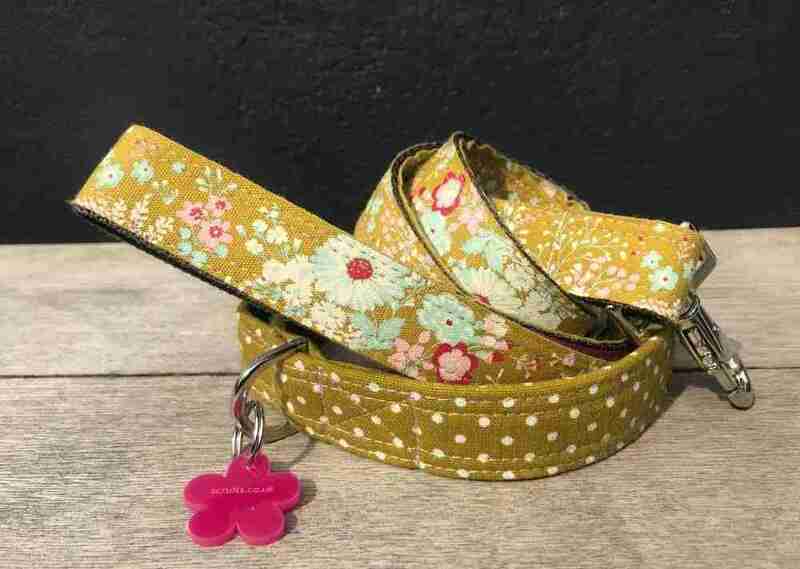 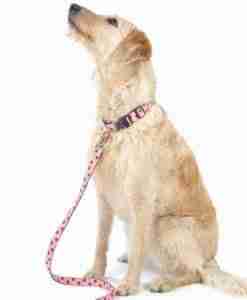 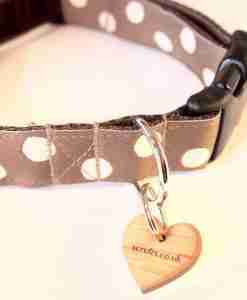 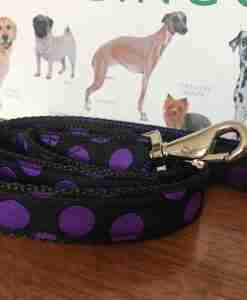 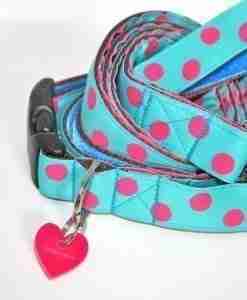 Made using a linen blend fabric, my Kiwi polka dot dog collar comes in four sizes, from dinky to statuesque, is über washable and sports an exclusive Scrufts flowery charm. 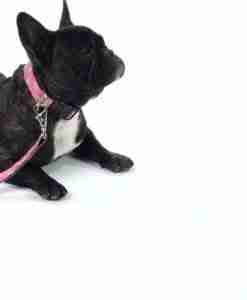 #fetch! 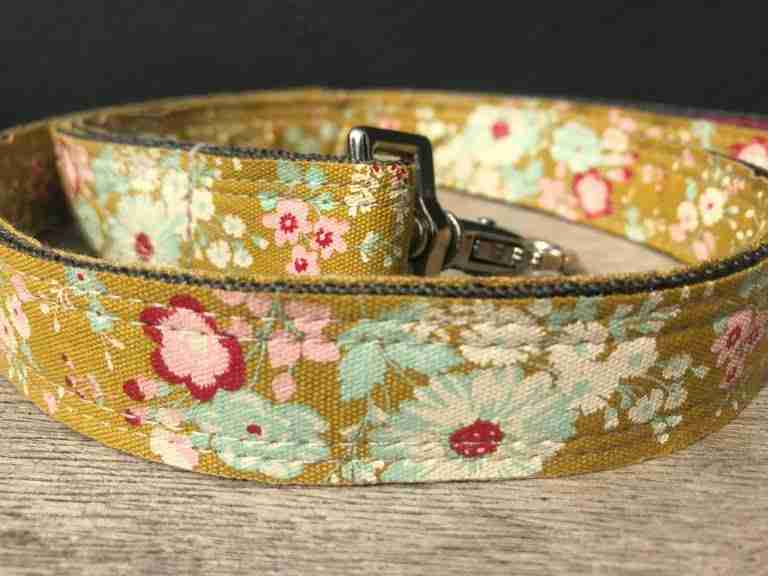 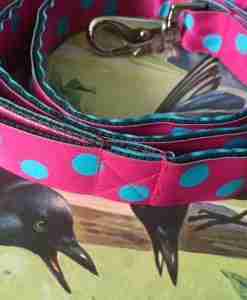 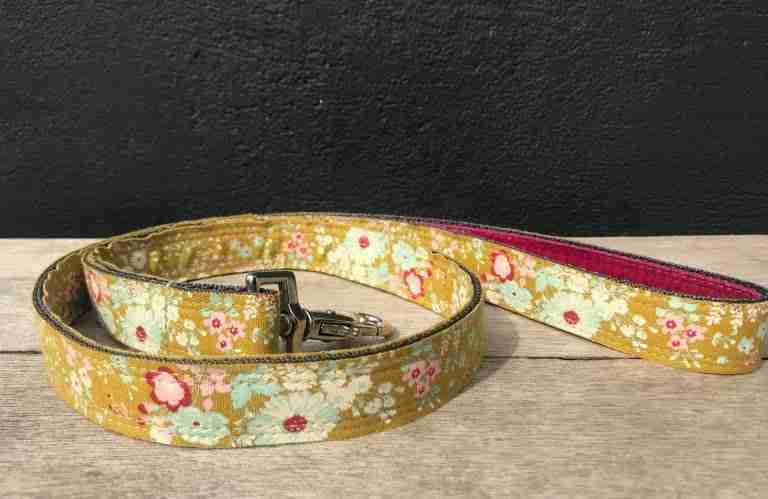 My Mikado Floral Dog Collar is made using a tough French cotton fabric, Swiss velvet, polypropylene webbing, steel adjuster and D ring and a hi spec black nylon clasp.